Breakfast is definitely my favourite meal of the day. I’m always starving when I wake up in the morning (the greedy theme continues) so I love tucking into a big bowl of cereal first thing. 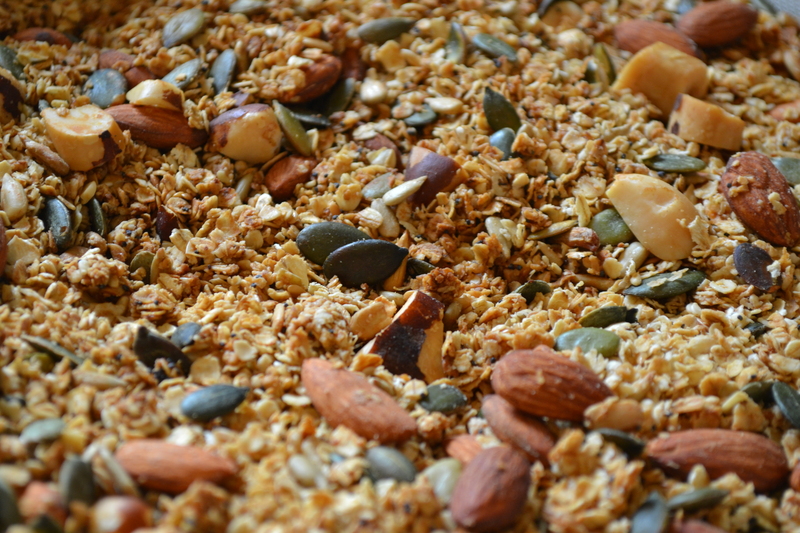 Whilst a box of Kellogg’s does the job, a bowl of home-made granola is infinitely yummier. If you make your own it’s likely to be a lot healthier too. 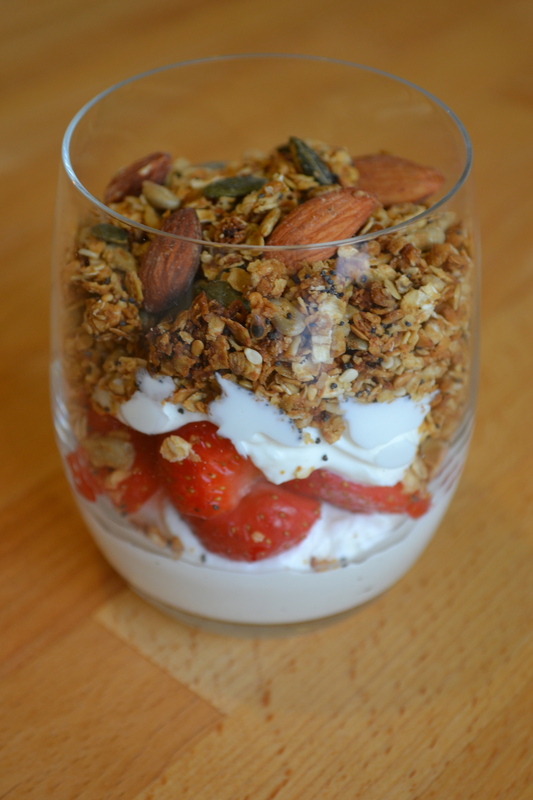 Mixed with fresh fruit and yoghurt, you really have a breakfast treat on your hands. This recipe comes from a place I stayed at a few years ago in South Africa called Bushman’s Kloof. 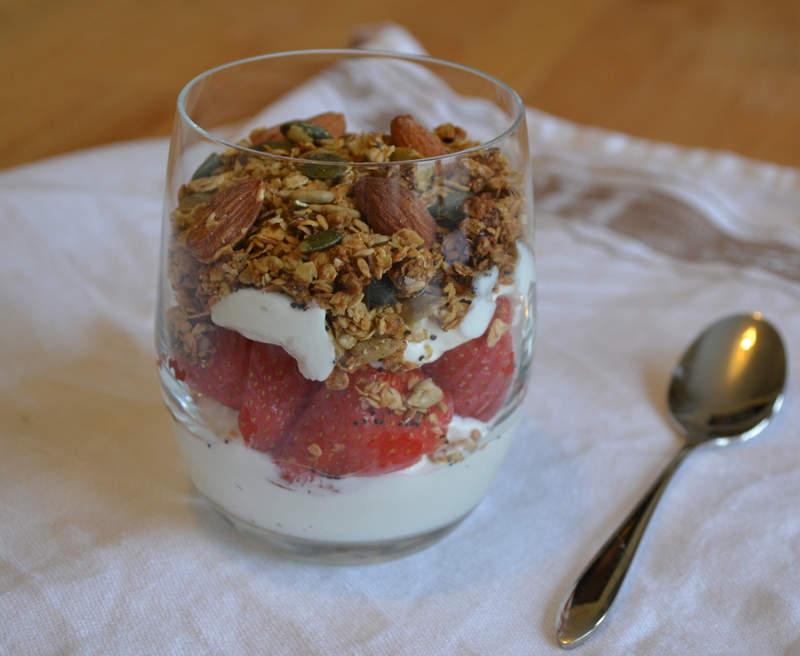 Their breakfast was without question the best hotel breakfast I have encountered and the highlight was their granola. Luckily for me I wasn’t the first person to think so – when I asked for the recipe it was presented to me in a matter of seconds! I’ve been making it ever since. The recipe is great as it only uses honey to sweeten it, has no salt and not that much oil added which keeps it on the healthy side. 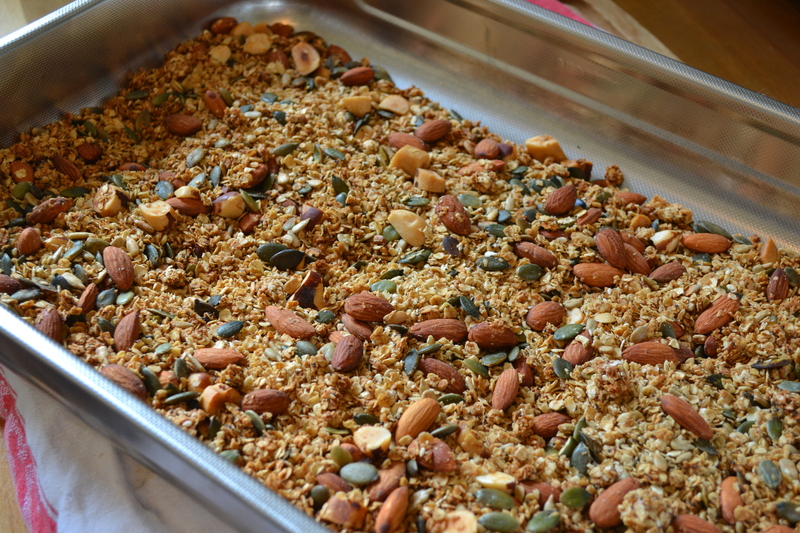 You can add pretty much anything you fancy to the recipe to make it your own – sultanas, poppy seeds, dried cherries, pecans and hazelnuts would all make great additions. Whilst it does take a bit of time, it makes a massive batch that keeps for a good few weeks if you keep it well sealed. In a big sauce pan, gently heat the oil and honey until just starting to bubble. Add in all the rest of the ingredients and stir well to ensure everything is well coated with the honey and oil mix. Working in batches (I usually do 2 though it depends how big your roasting tin is), pour the mix into a roasting tin/tray and spread out. Don’t spread it too thick as it will take ages to cook – I aim for about 1.5cm/2cm deep. 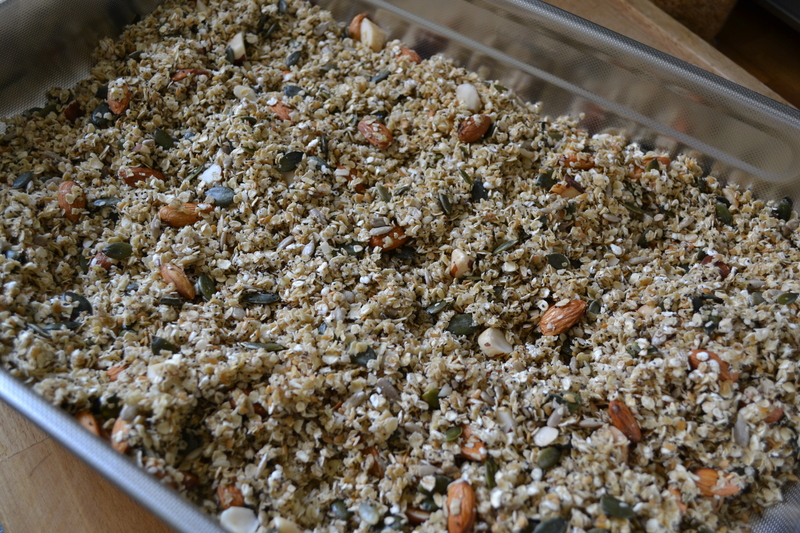 Cook for 20-30 minutes until golden brown, stirring every 5 minutes or so to ensure all the granola colours evenly. Leave to cool, stirring occasionally, before transferring to a sealable box. Repeat with the next batch(es).